In my childhood, my father had presented us with a small binocular like gadget called the View Master. It was used to see a round disc of colour slides by clicking down a switch. In that simple gadget I had seen stills of Thai dance in colourful costumes. That childhood memory stayed.... Years later when I arrived in Bangkok, (I did not go shopping!) one of my first excursions was to see a dance performance. The short pieces were scenes from the Ramayana. And Hanuman, masked in splendour did acrobatic leaps, while the Rama trio gently moved around like dolls. What struck me about the dancers apart from their beautiful faces and costumes was the gentle gestures with their hands. The fingers were bent upwards in a beautiful curve from the wrist to the finger tips, and when they stretched their arms in delicate movements, the hands looked especially beautiful. I learnt that part of their training from childhood was to bend their palms to form those beautiful arcs. 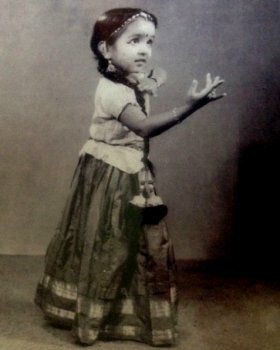 Laskhmi trying out Hastha mudra, aged 3! Our training in Bharatanatyam almost takes the hand gestures for granted. Nattuvanars never conducted sessions in theory related to practice. If I am not mistaken it was Kalakshetra which taught the Abhinaya Darpana based lessons...." Patakam, Tripatakam, Ardhapatakam...." chanted in unison as one did the appropriate gestures. Now all dance schools have these lessons, I think. But what is the use of these lessons if the dancer can hardly show one clear HASTHA MUDRA properly on the stage? While the Nrtta Hasthas are as strong as the Nrtta taught by a teacher, they at least are correct most of the time. It is the Abhinaya hasthas that are sadly lacking in life. The prayoga or usage is known to dancers. But what they lack is clarity in the way the hasthas are held by hand and fingers. For example, many do not train the fingers properly to bend them, or to stretch them. When I conducted workshops for overseas students, they struggled a bit....with hasthas like the Tripataka. The ring finger did not bend at right angles to the palm without help. More complex positions like katakamukha are also difficult for untrained fingers. Our dancers can do it all easily. Yet, they do not use many mudras while performing. 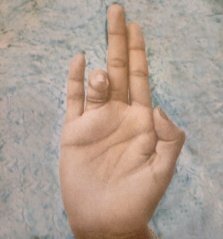 They seem to simplify everything and do not pay attention to this lovely detail....the Hastha mudras. 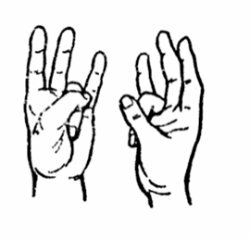 I think imaginative use of the hands is so special to our dance that dancers should do well to consciously practice the mudras. And then use it in context. Last season I performed pieces from my feature MANUSHI ...based on the work of women poets of India. There were sequences describing nature, and I made use of many gestures with telling effect. Somebody from the audience came up to me after the show and said, “Your fingers were dancing, we were watching them all the time.” I was delighted, because that effect was as it was meant to be. We show an entire gamut of flora and fauna, and each has to be different and authentic. We must use our imagination too to use some mudras with appropriate lyrics, to do justice to that particular aspect of Angika Abhinaya. 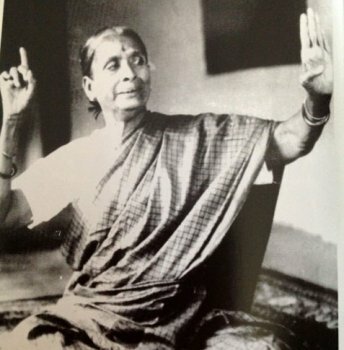 When mudras are connected to movement, lyricism in dance is established. The melody, mood and movement combination is embellished by mudras. The fluttering of wings, the chirping of birds, the slow flowering of a lotus, the distinct quiver of bees.... the list goes on. The unhurried use of gestures is so special to our dance that mastering this aspect of dance is worthwhile. When I danced at a festival in Boston, I composed a piece on the many armed (twenty) Devi, with each hand holding a different symbol. Rhythmically synchronized with the music, it was demanding first to remember and then to show the whole gamut of gestures. The icing on the cake was the way my lighting expert highlighted the hands. That was Mithran Devanesan. The effect was so magical to the viewers that an American critic came up to me and said she liked that dance the best! So, dear dancers, do pay attention to the Hastha mudras. Keep the fingers supple even if you are not blessed with slender ones. Perhaps some hand creams at night?! Train them as in any other exercise, to move with ease and hold the symbols with attention to the beauty of each formation. Perhaps if you do not rush from one gesture to the other, it helps. But above all, use all the gestures. They are like words in prose. Variety provides some scope for eloquence. 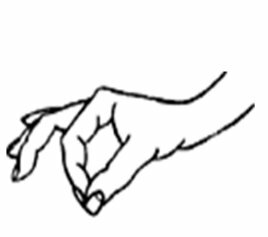 Sameness, or a limited range, indicates that you do not know the language of gestures fully. In this case, ignorance is not bliss.